What adhesive your lash artist uses matters! When it comes to getting your lashes done, whether you are a new lash addict or a veteran, research and being educated is vital to making sure you are receiving a good service. There are many components to a lash service. If one of these components is not dialed in, it can cause suffering to you as a client and to the reputation of a lash artist. Some consequences include, but are not limited to, allergies, eye infections, and poor retention. So today lets talk about a huge and necessary component of every eyelash extensions service: ADHESIVE, commonly referred to as, GLUE. Literally, it's big. The word is Cyanoacrylate, pronounced SIGH-ANNO-ACK-RIL-ATE, and this is the base chemical in the majority of lash extension adhesive on the market today. This chemical was discovered in 1951, by accident. And, for the sake of our lashes, we are glad that accidents happen. Now there are many different additives that can be added during manufacturing that change the thickness of the adhesives, the fumes, and the holding power. Cyanoacrylate does not dry, it cures in the presence of moisture. As cyanoacrylate adhesive (CA) is exposed to moisture, the vibrating molecules within the lash glue begin to slow and form polymer chains. These chains are very strong and difficult to break once cured, which is why lash extensions remain attached to the natural lash for weeks on end. Even though CA has been used for years in the medical community, there are a lot of misconceptions about it. Formaldehyde- There are many clients and artists that are concerned by formaldehyde being in CA. Formaldehyde is used in the production of all CA, however, the gas dissipates during manufacturing and is not traceable in the final product. Formaldehyde is a natural byproduct of the curing process and is released as a gas. The amount released is not at anything close to concerning levels, though, so this shouldn't be something that stops you from getting lashes. Artists should wear proper protection such as the Lace Carbon Filter Mask and have a ventilation system that filters out VOCs from the air. Clients should ask their artist about the adhesive they use and test their knowledge. At the end of the day, you are exposing a sensitive area of your face to chemicals, and the person working with those chemicals should be knowledgeable. Medical Grade- This term is very loosely interpreted because there are no formal regulations or standards that make something "medical-grade." All CA is made under very strict conditions because the manufacturing process is so involved. The CA used to close wounds is a form of CA called N-butyl Cyanoacrylate. It is a weaker form of CA that can be applied directly to the skin. Ethyl Cyanoacrylate and Methyl Cyanoacrylate are the most common forms you will find in lash adhesives. Just because someone has listed on their product that it is medical grade, doesn't mean it is a higher standard or guarantees that you won't have a reaction. Sensitive Adhesive- Many clients believe that if they have had a bad reaction to lash extensions it must have been that the glue was too strong. So, if you have a reaction, you may request a sensitive adhesive for your next appointment. But even with a sensitive adhesive, a reaction can occur. 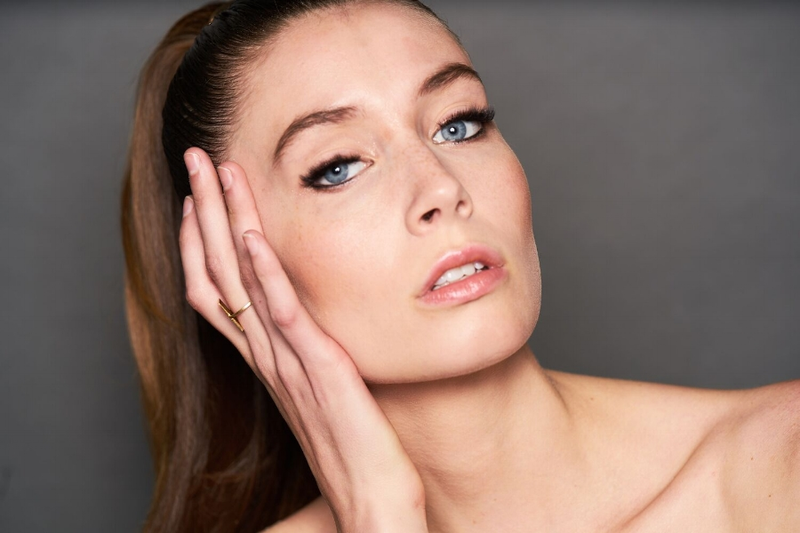 That's why it is important to understand why and how lash extension reactions happen and what can be done to prevent eyelash extension reactions. Sensitive adhesive still uses the CA as a base chemical, but it is formulated to have lower fumes which can help prevent chemical burn irritation for those with dry or sensitive eyes. If you have a true allergy to CA, you will still react to a sensitive adhesive. Clear Adhesive- These adhesives still have a cyanoacrylate base, but they don't add the carbon black. Carbon black gives a dark, rich black finish to the lash line. But you may have a sensitivity to carbon, so it is important to see if your artist offers both, black and clear adhesive. 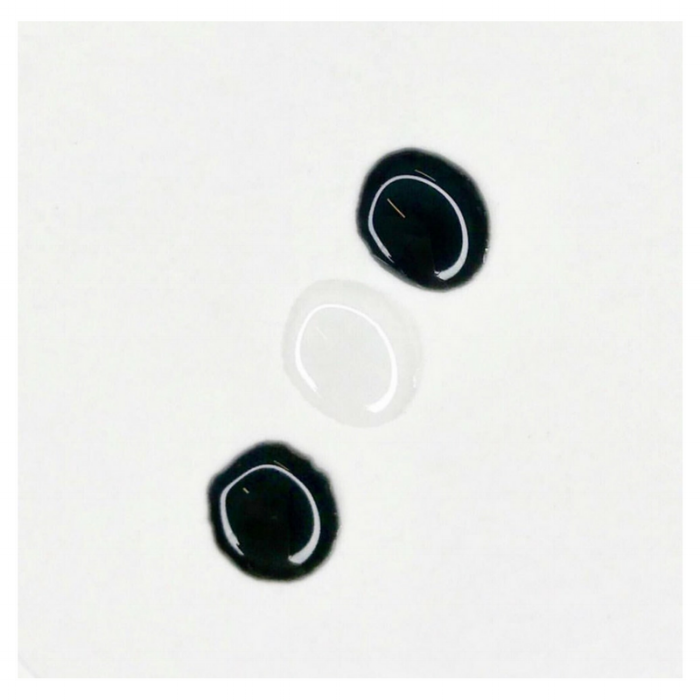 If your artist is looking for a great clear adhesive, Lash Affair offers one called Clear Connection that gives amazing retention. Latex-Free Adhesive- Most CAs don't have latex, but there are a few adhesives that do have a rubberized additive to increase flexibility and make it oil-proof. If you have a latex allergy, it is important for you to ask if the lash artist uses one of these rubberized adhesives. All of Lash Affair's adhesives are latex-free. Adhesive is a big factor for retention. Here are some adhesive issues that can lead to bad retention. Improper amount of adhesive- Unlike other types of glue, with CA, less is more. You don't need much to create a good bond, and using too much can weaken the bond. It is easy for an artist to use too much adhesive, so monitor how your lashes feel. There should be no pulling, itchiness, or sore eyelids. Any of those symptoms could mean too much adhesive was used! Improper storage of adhesive- If the adhesive was opened, then stored in the fridge, condensation can build up in the bottle and the adhesive will start to cure. This leads to a thicker adhesive that is hard to use and it will produce really strong fumes. Once opened, the lash adhesive should be stored upright in an airtight container, such as the Love Shack. An improper environment for adhesive- Like we talked about in the beginning, all cyanoacrylate based adhesives don't dry, they cure in the presence of moisture. Most adhesives have an optimal humidity range that they function well in. But if you live in Arizona and your lash artist bought an adhesive that performs well in a highly humid environment such as Florida, chances are you aren't going to have great retention. If a lash artist doesn't know the humidity of their room, that could be a sign that they don't understand how their products work, which ends up hurting you in the long run! Artists can manipulate their environment using humidifiers and dehumidifiers to make sure that they are creating a comfortable and effective environment for your services. Phew! I told you it was a big component. Hopefully, you feel more equipped and knowledgeable about what to ask your artist and why the adhesive your artist is using on you matters! Unfortunately, many artists working in the field don't know many of the facts listed in this article because they weren't taught about their products properly. At Lash Affair, we work hard to ensure that all of our students have a thorough understanding of how adhesive works and what factors go into choosing the right one. To find a Lash Affair artist near you, visit our Certified Lash Artist Directory.